To understand “Operation Olive Branch,” we must both understand the situation in our region as well as the importance of Turkey in the history of this region. Turkey is obliged to undertake a constructive and effective role in the fate of the adjacent zone. In Syria, the U.S., Russia and Iran are present. Do not misunderstand me, but Turkey has the right and responsibility in dealing with the fate of Syria much more than these countries. In the First World War we lost Aleppo, Damascus, Hama, Homs, and Raqqa. But until the early 1920s, the region in which today’s Afrin was located was actually and officially covered by Turkey’s “National Struggle.” The French occupied this area, but the people of the region did not accept this occupation. In the 1920s and 1930s, the majority of people of this region struggled as part of the war of liberation against French invaders, because they believed that their destiny belonged to Turkey. French aircraft bombarded the villages close to the border with Turkey again and again. Grassroots movements, which lasted for over 20 years, appeared in French sources as the “movement of Mouridism.” Researches related to this period show that the local community had strong feelings about joining to Turkey. The resistance, however, was suppressed by the cooperation of some leaders of tribal nations belonging to the region with the French. The operation’s ”Olive Branch” name is also a reference to the historic nature of the friendship between the people of Turkey and Afrin. 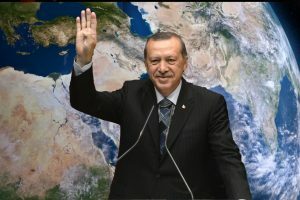 Turkey undoubtedly cannot remain silent about the plans to tear Syria apart. It was clear that the U.S. would not leave Iraq and Syria. “Continuous War” is at the base of the Pentagon’s military strategy. The U.S. entered Afghanistan in 2001 under the pretext of “al-Qaeda” and entered Iraq in 2003 under the pretext of “chemical weapons.” The U.S. is still in these countries. But did not Obama and Trump promise that they would withdraw their troops? If we go to an earlier time, U.S. troops have been on the “Korean Peninsula” since 1953. The “Korean War” ended with a ceasefire agreement, not a peace treaty. Peace talks with North Korea have always been hindered by the U.S. Hence, “nuclear” has always been an excuse. It is clear that the U.S. military presence on the Korean Peninsula is related to China. The U.S. intends to continue its military presence in Syria through the “apparatus PYD.” For the U.S., the interests of Israel, not of the American people, have priority in Iraq and Syria. Can the primary components of the region (especially Turkey) be willing to divide the region for the interests of Israel? Turkey and the U.S. are so-called allies in “NATO.” But the U.S. is arming the Syrian branch of the terrorist organization that has fought for years against Turkey and wants to build a corridor that reaches the Mediterranean Sea. How is that part of an alliance? The U.S. constitutes the so-called “Border Security Force” from the Syrian elements of the PKK. 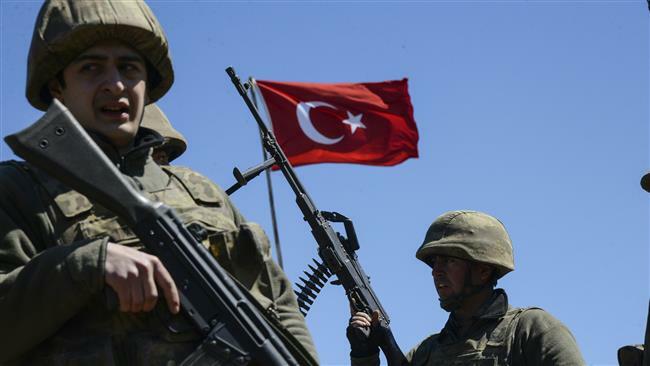 The U.S. is doing it without even feeling the need to consult with its NATO ally Turkey. The U.S. did not interfere with the Afrin operation, thinking that Russia would protect the “YPG.” Turkey and Russia well understood what the U.S. sought to do. 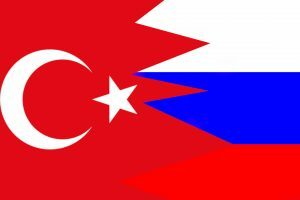 The U.S. is playing the game of balancing its enemy with “another enemy.” The plan confronting Turkey with Russia in Afrin was ruined by Russia’s exit of the game. The leaders of tribal nations that collaborated with the French occupiers yesterday are the YPG-PKK elements that entered into the United States’ service today.